Join us for a tremendous seminar on International Family Law in Washington, DC with a wide array of exceptionally well-qualified speakers. 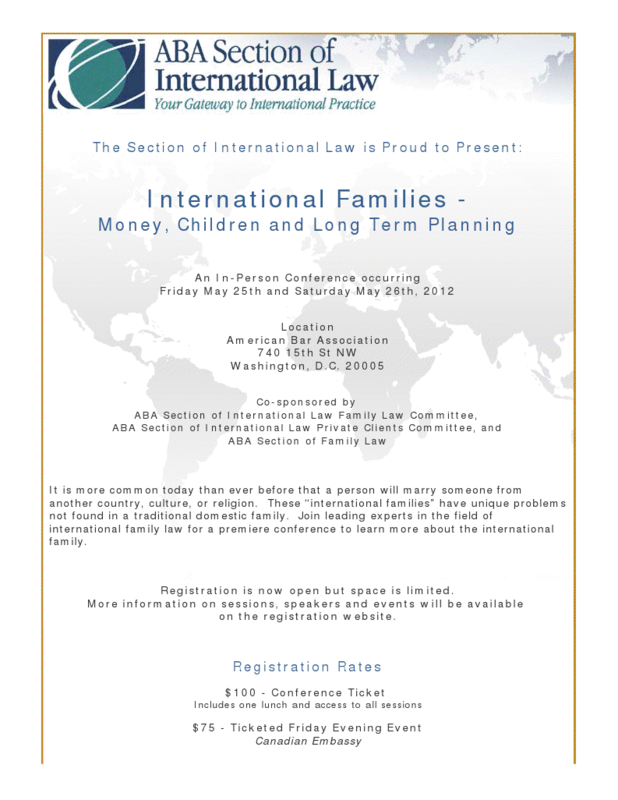 Sessions on: International Child Support; International Family Formation; Limitations on Planning of Structures Issues; International Child Relocation; International Prenuptial Agreements; Islamic Family Law; Offshore Assets; Recognition of Foreign Court Orders and Conflicts of Laws; & International Couples in Transit. I will be chairing the session on International Prenuptial Agreements.